The main stream of Christianity throughout all the world believes in one God, the Holy Trinity. It is indeed a mystery, as God Himself is. The incomprehensibility of God is confirmed in the Quran and the Bible. (Job 11:7, 1 Cor 2:11, Surah Al-Anaam 6:103 ). Many attributes of Him are accepted by both Muslims and Christians, yet are simply not fully comprehensible to the human mind. We all accept that God has no beginning, yet do we understand this? The common question asked by children, ‘If God made everything, who made God?’ is just as puzzling to adults. Muslims and Christians believe that God is independent of space and time, yet how on earth can we satisfactorily explain how this might be? How is it that God can be nearer to us than our most secret thought, yet be this for the billions of other people on earth just as much simultaneously? These confusing facts apply also to all people in history and the times to come. ‘Impossible!’ the sceptic cries out, yet true. Then why should it be such a problem if there is some aspect of God’s essential nature (his Trinitarian existence) which is difficult for us to grasp? Someone said, ‘if you can understand it then be sure it is not God.’ Both, the Bible and the Quran speak about God anthropomorphically (human terms are used to describe him). Orthodox Muslims do not explain the ‘how’. Similarly, it is a fact that God’s word was revealed in a book, but how the infinite can be expressed in the finite is not clarified. Let us now set the basic framework for our study. The Bible categorically pronounces that there is only one God! To say, as the minority cult of the Maryanyas did, that Mary was the mother of God through whom He produced a physical son, and both were to be taken as separate gods besides God, is absurd! This ludicrous and heathen concept of the Trinity is completely condemned by both Islam and Christianity! The Quran rejects it in clear terms in Surah 4, Al Nisa, verse 171. The triads of gods worshipped by pagans are always three separate gods, not one God. In addition to this big difference to the Biblical concept of Trinity, non-Christian Trinitarian beliefs are mostly three gods at the top of a list of many other gods. The Trinity has also been misunderstood to mean that God is three persons and only one person at the same time and in the same sense. Neither are there three substances in one substance. While the word ‘Trinity’ does not appear in the Bible the concept of it is quiet clearly taught throughout its pages. Similarly, the Muslim Creed, known as ‘Kalimah’ does not occur in the Quran. The whole sentence is put together from two different Surahs. Muslims call Allah ‘El Adl’, meaning ‘the Just’, ‘El Wajid’, meaning ‘The Inventor or Maker’, ‘Edh Dhur’, meaning ‘The Harmful’, etc. based on the list of the 99 names of God. However these words are nowhere found in the Quran but Muslims still accept these attributes as belonging to God. (see ‘The Muslim doctrine of God’, by S.M. Zwemer, American tract Society, 1905, pages 39-45) Let us now examine the verses in the Bible upon which the teaching of the Trinity is built. ‘The word used for ‘one’ is the ordinary Hebrew numeral. God is all on his own. He has no ‘relations’. As far as his Godhead is concerned he is alone, unique…. Some passages use plural forms for God. One form of the name for God, Elohim, is itself plural. This is remarkable in view of the Old Testament emphasis on the unity of God. It cannot be explained as a plural of ‘majesty’; this was entirely unknown to the Hebrews. It has been seen as on a level with the words for ‘water’ and ‘heaven’, which both also happen to be in the plural in Hebrew. Water can be thought of in individual raindrops or in terms of the mass of water in the ocean. The plural in this case points to ‘diversity in unity’. Some believe that the same is true of the plural ‘Elohim’. But there are also passages where God speaks of himself in the plural. We find them in particular in the first chapters of Genesis. Ultimately, these verses find their fulfilment in Jesus (Joh 10:36, Luk 4:1,14,18). In Acts 2:38, 8:16, 19:4 people are baptized in the name of Jesus only. Since Jesus is now included in a way he was not in John’s baptism (19:4), the abbreviated form is used in the beginning to emphasize the distinctive quality of the new baptism. For more verses speaking about the Trinity when one considers the Biblical context see, Ephesians 4:4-6, 5:18-20, 1 Corinthians 12:4-6, Romans 8:9-11. Thus when God the Son died at the cross, God did not cease to exist but was separated from himself regarding the relationship within the Trinity not regarding his essence. To think that God gave up a perfect relationship for a time shows how great his love towards us is! ‘It is held that although the doctrine is beyond the grasp of human reason, it is, like many of the formulations of physical science, not contrary to reason, and may be apprehended though it may not be comprehended by the human mind.’ (See, ‘Encyclopedia Americana’, ‘Trinity’, by F.C. Grant, Danbury, Con. : Americana Corp., 1980) The Trinity of God, like many other facts about him does not have to be understood fully, but to be believed in. Faith, the simple childlike trust that God is and acts as he revealed himself in the Bible, is sufficient for salvation. Similarly, one does not have to understand how a Television set works in order to enjoy a program about nature. A simple touch of the right button will bring about the blessing. When it comes to finding illustrations for the Trinity, to explain that which can be apprehended but not comprehended, one can easily fall into modalism. This is a false teaching holding that the Father, Son, and Holy Spirit were three successive ‘modes’ in which the one God manifested himself to bring salvation to the world. It would mean that God the Father was made flesh, died, and rose from the dead. The Biblical teaching, however, is that Jesus, God the Son took on a human nature died and rose again from the dead. Jesus is a person, in the sense of self with a particular function, distinct from the Father and the Holy Spirit. The oneness is still maintained by stressing the fact that Father, Son and Holy Spirit are of the same substance or essence. As mentioned before each member of the Godhead is indwellt with the other which further confirms God’s oneness. Keeping this important difference in mind, the following examples have to be viewed as applicable only in a limited way. It may also be valuable to see the one universe as made of space, matter and time. Time by itself consists of past, present and future. If any one of these is removed then universe and time will cease to be! This brings us to another analogy for the truth of the Trinity, that of man’s mind. He has one mind, which is capable of thinking thoughts and expressing them in words. Mind, thoughts and words are one. No one can say that God has no Mind that expresses itself in Thoughts and Words. God in Mind and Thoughts and Words is one God and He never claimed that there would be two other gods beside Him! The Trinity of Christianity is truly representative of the Mind of God (commonly referred to as God the Father), His Thoughts, (commonly referred to as God the Holy Spirit) and His Word (commonly referred to as God the Son). In the Gospel according to John we read: ‘In the beginning was the Word, and the Word was with God, and the Word (Greek: Logos) was God. He was with God in the beginning…’ The Word became flesh (in Jesus) and made his dwelling among us. (Joh 1:1,14) The context shows clearly that Jesus is God in the flesh: He was in the beginning, that means he is not created, he is eternal as God is eternal. Verse three states that through Jesus, the Word, all things were made, that means that he is God the Creator. Some people have doubted that Jesus is really called God in this verse because in the Greek language the first word for ‘God’, ‘ton theon’ is different from the second, ‘theos’. However in Greek it does not suggest this sort of shift in meaning. ‘This can be seen by reading other passages in the New Testament where ‘theos’ appears in the same context both with and without the definite article, yet with no change in meaning (Joh 3:2, 13:3, Rom 1:21, 1 The 1:9, Heb 9:14, 1 Pet 4:10-11). Whenever the word ‘theos’ is used in the same construction, it always clearly refers to the true God (Mar 12:27, Luk 20:38, Joh 8:54, Phi 2:13, Heb 11:16, ‘Why you should believe in the Trinity’, by R.M. Bowman,Jr., Baker Book House, 1993, pages 93-94) The ‘word’ proceeds from the ‘mind’. Both words derive their meaning from the Greek original ‘Logos’. The word ‘Logos’ has many meanings. One form ‘Logo’ gives us the English ‘logic’, which means not just ordinary speech (words), but mind expressed or intelligent expression. God created the world by His intelligent Mind, or by His Thoughts, or by His Word, all of which mean the same. For God and His mind are the same being. An example of this is when we say, ‘We solved the problem with our minds.’ Is it us who solved it or our minds? Both are essentially the same thing. This distinction between us and our mind is merely intellectual and does not involve separation but difference of function. Likewise, when we speak about God, His Mind of which His Thought and Word proceeds, we are not separating them, but only clarifying the issue. In a similar way the Quran (Surah 4, Al Nisa, verse 171) mentions Jesus as being a Spirit proceeding from God! In other parts people are described as having been strengthened with a spirit from God (Surah 58, Al Mujadilah, verse 22). At the creation Allah has breathed into man of His spirit (Surah 15, Al-Hijr, verse 29), but Jesus only IS the Spirit from Allah! This is why Islamic tradition calls Jesus ‘Ruhullah’, that means ‘Spirit of Allah’. Neither the Spirit of Allah (the Thoughts) nor the Word (the mind expressed) of Him can have been created since whatever proceeds from God Himself is part of Him and must therefore have existed eternally. If God was without Mind at any time He would not be God; or if he was without Thoughts at any time He would cease to be the Almighty One which is impossible! Muslim theology confirms this belief by stating that the Quran is uncreated and has existed in eternity with God. There again we find plurality within unity, something that is other then God but it is at the same time one with God. i) ‘How could Allah have been self sufficient and loving before the creation of angels and of the earth?’ Since true love is always giving and Allah according to Islam is a lone God, according to logic there must have been a time where he was incomplete, where he could not have had the attribute of love? However, according to both the Quran and the Bible, God has always been and always will be perfect. ii) ‘Is Allah selfish?’ Since love is described as having ‘…no envy;…no high opinion of itself,….no pride;…no thought for itself…(1 Cor 13: 4-5) some people like sceptic John Stuart Mill, Mark Twain or Pablo Picasso have come to the conclusion that God is utterly selfish. They say that by asking us to worship nobody else but God, he himself commits the sin of seeking glory for himself only for which he condemns man. 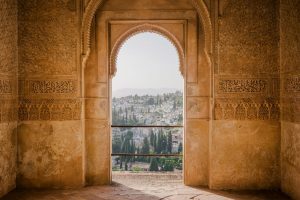 While many Muslims would say that Allah, the creator can be selfish if he wants, Bible believing Christians find the answer to this apparent contradiction in the Trinitarian nature of God. He shares his glory among himself. iii) ‘Is God limited?’ Of course that can not be, but he who thinks of God as an absolute unity where there is no room for multiplicity at all, is forced to believe in a god who does not know himself. Self-knowledge demands a distinction, a multiplicity, between knower and known. Self-consciousness, the recognition of a creature by itself as a ‘self’ can only exist in contrast with an ‘other’, a something which is not the self. Only a Trinitarian concept of God allows for such a vital distinction. Ignatius also identified as heretics those who “say that the Son is a mere man, and that the Father, Son, and Holy Spirit are but the same person, and that the creation is the work of God, not by Christ, but by some other strange power.” (Ignatius of Antioch, Epistle to the Philadelphians, Chapter VI, ‘Abstain from the Poison of Heretics.’, ANF01 CCEL. 3. WHAT DIFFERENCE DOES TRINITY MAKE? At one stage in the growing up process of my daughter she developed a new phrase that soon became her favourite saying, thankfully only for a short time. When she was told to come in for dinner after play she would often fearlessly proclaim, ‘so what?’ That was her way of saying, ‘what you are saying is irrelevant to me. I want to continue playing outside.’ She thought wrongly what we were asking her to do did not have any practical influence on her situation. Once convinced of the truth behind the Trinity many people still ask ‘so what, this doctrine has no practical consequences for my life.’ As we shall see, the Bible disagrees with such a hasty conclusion. As an interesting detail the thought that all men originated from one kind was not known in the ancient world. Greeks called themselves ‘Autochons,’ ‘made from the earth of Greece.’ All others they called ‘Barbariens,’ ‘foreigners.’ The Jews, being eager to stress there uniqueness as people, would never have invented such a teaching that made them having the same ancestors as other people. Only because God said so they were willing to accept it without a full understanding. This proofs once more the accuracy of the Bible. The command above is so radical because if we touch men, the image of God, in a sense we touch God! War in its various forms would cease if that principle was understood. What I do to my fellow beings I do to God in some ways. We either cultivate beauty or do harm. We must learn to look beyond the depravity and see the beauty of men. We are more glorious than a beautiful sunset. No matter what we do we therefore are still worth loving, even the worst criminal. Islam teaches to do good to our fellow beings in order to influence the scale of good and bad deeds positively so that perhaps one can go to heaven, if Allah wills. However, the real reason for treating them with dignity and importance is to bring glory and honour to God. If man is created in God’s image, similar to him, what practical lessons can we learn from the doctrine of the Trinity? How does it affect our daily lives? A loving relationship between God the Father, God the Son and God the Holy Spirit is at the heart of the Trinity. The Father loves the Son (Mat 3:16-17), the Son submits to the Father (Luk 22:42) , the Holy Spirit brings honour and glory to Jesus. (John 16:14) Because we are made in God’s image relationships must be our first priority in life. What is most important to us? Success in business? Riches, material things? Degrees? Knowledge? Health? Reputation? If they are more important than relationships then we sin and have to ask God for forgiveness. Because sin is so severe and separates the Holy One from unholy men, God the Father sent God the Son to die for our sins on the cross. Without belief in the Trinity such a divine rescue operation would have been impossible. If God was One in the Muslim sense of the word who would have ruled the Universe during the time he died for us? Nobody and that can not be since God rules for ever. He who believes that Jesus died for his sin on the cross must believe in the Trinity. It is impossible to believe in the one without the other. Only through the work of Jesus on the cross men is enabled to stand in the presence of the Holy God. Andrei Roubliev, a Russian artist, has painted a most interesting picture. It depicts God’s visitation to Abraham and Sarah in the form of three angels. (Gen 18:1-8) One sees three men who are eating on a table. There is an empty space reserved for YOU! You are invited to enjoy the fellowship of God the Holy Trinity! We have a hard time to grasp such an incredible thought because when we think about God we stand in awe about the fact that he is One, Almighty, Powerful, having all things under his sovereign control. This is all true but it is only one side of the picture. God reveals himself not only as the sovereign One but also as having an intensive, passionate relationship within the Trinity. Through faith in Jesus and his works God invites us into a relationship as his children, who have the potential to become his grown up sons and daughters, his friends! Good friends treat each other as equals even though they may come from different backgrounds, have different jobs, and may not belong to the same social class. In spite of the differences their friendship unites them. Friends respect and listen to each other. Everyone is invited to share their opinions, feelings and ideas freely without having to fear they will be rejected as persons. Constructive criticism is allowed. Someone said, ‘a friend is one who knows you as you are, understands where you have been, accepts who you have become, and still gently invites you to grow.’ As incredible as it may sound but if we have become friends with God! Through faith in Jesus he offers us such a friendship! We are invited to participate in it! God rejoices over us and our uniqueness. In taking part in God’s unity our being different from everyone else will honour and glorify him. It is true, we have not deserved to be treated in such a way, it is not our right but God offers his friendship as a privilege. Of course, as friends of the perfect God we will make mistakes here on earth. However, God is so great that he can even turn around the bad and make it work for our good. God’s will can be compared with a river. Within the river bed it will always find a way. Our sins and selfishness are like debris, stones and mud. They can not stop the river for ever. It will find a possibility to get around the awkward hindrances. As long as we stay in the friendship with God he will finish the work he has started in us. (Phi 1:6) Is that not good news indeed? Dr J. Robert Clinton, professor of leadership at Fuller Theological Seninary, USA, believes after having conducted extensive research that less than 30% of all leaders world wide finish well. (Clinton, 1992, page 7) The main thing that is going to help us finish well is community with God and with each other. Because we are fallen we are called to suffering in the process. We must adopt this theology of suffering. Like the Russian Christian we should be surprised if we do not suffer! God allows suffering in our lives because he trusts us. We are called to enter the pain caused by living in a fallen community not to run from it. We are to stay in the ‘tunnel of chaos until we bump into God.’ As we do this we will learn to ask different questions about the same realities and we will be freed up to move more in our giftedness. Community with one another is sitting in the pain knowing that we can not fix it. By being loved in that way people are being freed up to be changed by God. An important issue is not to build up trust in each other only (Joh 2:24) but to get willing to open ourselves up to be hurt by others. Tears are an open door where others invite us to share their pain. When someone challenges us we should take what they say or do, unwrap it like a gift, examine it, rather than react against it superficially. To do this we need solitude in God’s presence. ‘Lord, why do you allowed this to happen? What do you want me to learn?’ We are to be accountable to each other regularly. If more than one person tells us the same we will be more likely to listen. If sinful patterns repeat themselves we have either not pursued each other enough to keep a superficial peace or rebellion against God takes place in peoples lives. In case of the latter, as a last resort because we live in a fallen world, separation will have to occur. The same principle, that diversity contributes to the richness, the quality of our relationships, is also applicable in the areas of marriage, family, friends, relatives and at work. Developments where things are done differently but still to the glory of God should make us rejoice. We ought to support not try to hinder them out of fear. Oneness with the people we relate is important as long as we make room for others to be different if they choose to do so. In the beginning of life a child would like to be one and the same with his parents. At a later stage it also wants to be different to live out its own God given uniqueness. If someone experiences too much one and the sameness they feel uneasy and suffocated. He who does not feel enough unity will get lonely. These paradox desires are a sign of God’s life in us. The current move towards multiculturalism and its over emphasis on diversity in Europe and the USA is threatening the balance exemplified in the Trinity. The unity in these societies which previously resulted from faith in the same Biblical world view is being replaced by a post modernistic belief that there is no absolute truth. The latter is self contradictory since its claim is a statement of absolute truth itself. Part of the confusion can be found in today’s perversion of the word ‘faith’. Most often it is used to mean ‘a position held despite a lack of evidence or despite opposing evidence’. The biblical word ‘pistis’ is derived from ‘pitheo’, a legal term meaning ‘to be convinced by argument’ or ‘to yield to the evidence.’ As distinguished intellectuals such as C.S. 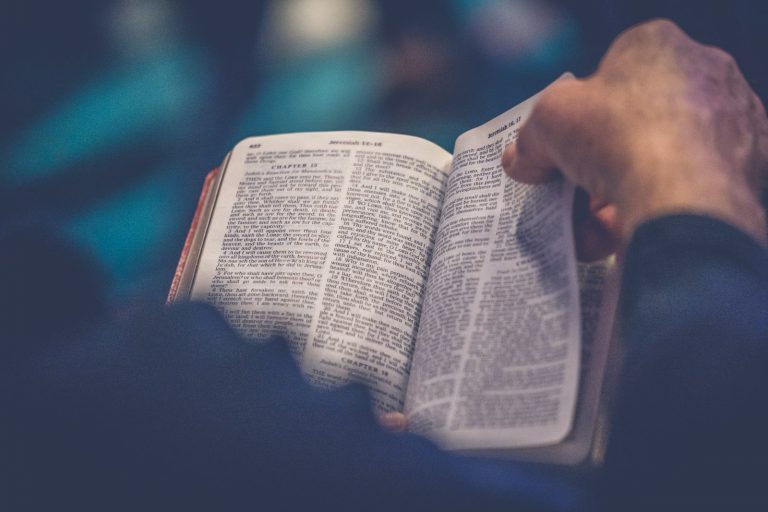 Lewis or Francis Schaeffer have shown over and over again, the case for Biblical Christianity is solid and can be believed to be true in the biblical sense of the word. (See also www.biblicalchristianity.freeserve.co.uk for the article ‘Which religion, if any, holds the truth?’) A society built upon the Biblical world view will respect, protect and assimilate minorities but they will not be able to dominate it with their own world views. ‘But our God is in heaven: he has done whatever was pleasing to him. Their images are silver and gold, the work of men’s hands…Those who make them are like them; and so is everyone who puts his faith in them’. All man-made gods represented in today’s religions teach that human beings are basically good with the capacity to do bad. When reality fails to match this ideal a totalitarian political system is created to maintain order. As a result leaders like Mao, Pol Pot, Hitler, Lenin, Stalin and Idi Amin slaughtered millions of people in the name of progress. To the contrary the Bible teaches that man is basically a sinner with the capacity to do good. Democracy, despite all its abuses and excesses is built on the truth of man’s depravity. It is designed to cope with a society of sinners. Free markets keep them honest by providing an open, competitive system. None of the alternatives, mercantilism, monopolism or consumerism measure up to it. Free markets, the product of democracy, also encourage enlightened self-interest a Biblical idea derived from passages where man is commanded to love himself for God’s sake but also to love others for their sake, too. (Luke 10:27, 1 John 3:16). Because men are sinners democracy has built up laws to protect the people from its leaders. Power corrupts, therefore it is diffused into the executive, legislative and judicial branches. Have you ever wondered why God created the world in the first place? Within the community of the Trinity he has absolutely no unmet needs. So why would he want to bother with creation and all the hassles we brought him through our rebellion against him? Could it be that he created the world and gave life to us as an overflow of his love existing within the Trinity? He who truly loves wants to give. That profound truth has to be at the heart of every missionary activity. The result of it is also a new creation. Those who believe in Jesus are born again. (Joh 3) They who know God the Holy Trinity personally, they in whom God lives through his Holy Spirit, can not but tell others about Jesus. He said: ‘For out of the overflow of the heart the mouth speaks.’ (Mat 12:34) Mission is at the very heart of God. It is his heart beat, the centre of his life. What kind of place does the subject of mission take in our life? When have we last told others about Jesus? Life originates from God the Holy Trinity who is life and from whom all forms of life begin. Therefore God is everywhere. He can be found in nature and in all other of his works. Within the community of the Holy Trinity God passionately feels, thinks, speaks and wills and works. These signs of life are naturally found in his creation too, especially in man who is created in God’s image as male and female. It follows that our passions are a sign of God’s life in us. As a result of sin those intense desires have sadly been subject to the likelihood of distortion and perversion. Our longing to be unique, to do something special is God given. But if we live it out wrongly we are in danger of becoming proud and selfish. God has put the desire in us to love and to be loved. Lived out in an ungodly way it can turn into lust, being overbearing, acting in a dictatorial manner, controlling. Nevertheless, the root of our passion is still God given. C.S. Lewis, a professor of Medieval and Renaissance literature at Cambridge University put it in this way: ‘…wickedness, when you examine it, turns out to be the pursuit of some good in the wrong way…badness is only spoiled goodness. And there must be something good first before it can be spoiled…All the things which enable a bad man to be effectively bad are in themselves good things-resolution, cleverness, good looks, existence itself.’ (‘Mere Christianity’, New York, Macmillan, 1943, pages 49-50) These thoughts are confirmed by the teaching of Christianity that Satan was originally created by God as an angel. Since everything else brought into being by God was good in the beginning, he too only became evil, a fallen angel, after his rebellion against God. Inspite of the dangers that lie in a passionate live we must not avoid it all together. After all we do not stop eating just because we are in danger of eating too much food. To deny ourselves does mean to say ‘no’ to our wishes and desires if they go against the wishes and desires of Jesus. Yes, God’s unity demands that we are one with him in saying ‘no’ to evil and selfishness. But God’s holy Trinity equally asks us to say ‘yes’ to our good passions, to that what makes us unique, what differentiates us from others. If you love playing chess and you are good at it, then use that passion for God’s glory. How? By passing on the praise people give you to God in telling them about him. Have you got a passion for dress making, sowing, knitting? Do not feel guilty if you spend hours on doing that. Use your gift for God’s glory by telling others about his goodness, perhaps also by giving the finished product to someone as a gift. Do you love football, cricket, tennis? Then use these passions to praise God. How? By enjoying them and by building relationships with others in order to share your passion for God with them. If we say ‘no’ to our good passions we actually sin because then we say ‘no’ to God who is the source of all passion. When we submit ourselves to the King of kings , the source of all our passions, he will enable us to live with unfulfilled desires too. God who is at the root of our passions is more important than their fulfilment. Therefore we can rejoice about the good things we desire without always having to consume them. Those of us who live in rich countries where everything is set towards instant satisfaction will find this truth particularly helpful. In view of the fact that God is at the source of all passion we can even learn from our bad desires. Let me give you an example: A Christian went to a retreat centre to spend a few quiet days reading the Bible and praying. In the evenings participants were invited to share what they had learnt during the day. One day the poor soul had to fight a lot against sexual temptation and lustful thoughts. Once he pulled himself together to share about all this he expected his counsellor to say something like: ‘If you really want to grow in spiritual maturity you have to rid yourself of such thoughts.’ Much to his surprise he got this response: ‘The sheer intensity of your temptation are a weak indication of how much God passionately loves you.’ That is an unusual way to learn about God’s intensive love for us from the source of passion that later turned bad. The message of the Gospel enables us to have good passions. Can you imagine, the Almighty God, creator of heaven and earth, the Holy Trinity, promises to dwell in all those who put their faith in what Jesus has done at the cross! God lives in them, similarly as the three persons of the Trinity indwell each other without diminishing the full person hood of each. To have such a friend in one’s live will naturally lead to a perfect peace but also to chaotic circumstances at times. It is encouraging to know that these crises too are a sign of new eternal life. Now, with the help of God who lives in the believer, he gets the strength to say ‘no’ to bad passions. He can also say ‘no’ to good passions if they hurt others or if it is too early to express them. That gospel is truly good news! 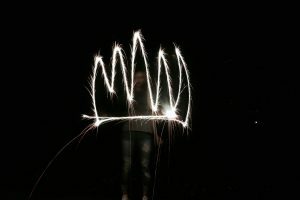 Far from being unintelligent and unimportant, the doctrine of the Holy Trinity provides the very center of a unique Christianity. Without it there would be no cross, no resurrection and consequently no grace, no meaningful life and no assurance of salvation. The Trinitarian God is absolutely instrumental in the success of all our relationships.